Ninety percent of cancer mortality is due to metastases. Once cancer cells spread throughout the body, there are few curative treatments that modern medicine can offer. What if we could stop the movement of cancer cells? A Chicago-based bio-therapeutics company at the forefront of the fight against cancer with an emphasis on the prevention cell motility, or metastases. Experienced and knowledgeable leadership in cancer research and product development. Our novel and precise targeting technology alters the activity of key kinases involved in the metastatic process. Third Coast Therapeutics is a Chicago-based bio-therapeutics company dedicated to altering the course of cancer treatment by developing orally active, small-molecule drugs that target the spread of cancer, specifically the metastatic process. Currently, there are no drugs designed to prevent the movement of cancer cells and we are at the forefront in the fight against cancer with an emphasis on cancer metastases. With experienced leadership and extensive research in cancer metastases, Third Coast Therapeutics possesses a powerful new strategy: stop the spread of cancer. 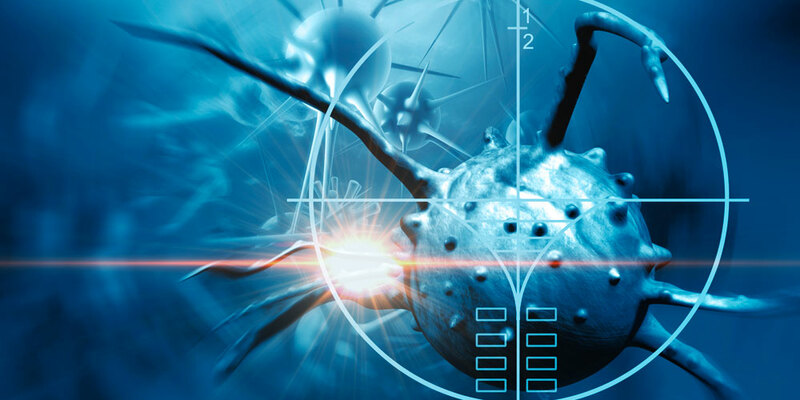 For decades, the main focus of cancer research and treatment has been to eradicate tumor cells. This approach has yielded significant success, but in many cases it leads to drug resistance and disease progression. It also has an undesired and devastating effect on surrounding healthy cells and tissues. Used in combination with traditional cancer treatments, our drug candidates modulates signaling pathways and dramatically inhibits cancer cells motility. Studies are planned to demonstrate this effect not only in relation to the primary tumors but also with secondary and tertiary spread. The simple fact is that most cancer mortality and morbidity is a result of the uncontrolled distal spread of cancer cells. We are dedicated to discovering new molecules and developing innovative strategies to stop cell motility. Chicago is at the epicenter of an emerging health tech and therapeutics ecosystem. Third Coast Therapeutics is poised to take advantage of the dramatic scientific, research, clinical and patient care advances that are developing in the Midwest. Learn more in Our Science. The Third Coast Therapeutics leadership team has deep experience in many aspects of cancer research, development and treatment. They also understand how to navigate the regulatory, and the commercial planning complexities of bringing early-stage products to market. Joseph Luminiello is a healthcare industry sales and marketing executive with nearly 30 years of commercial experience. He has served in key strategic management roles, leading and collaborating with senior executives in clinical development, market preparation, sales and marketing, payer strategies and strategic partnering. He has managed large and small sales forces, marketing teams, managed care contracting, merger integration teams, product launches, product life cycle management; and a foreign affiliate start-up. In his most recent corporate role, Joe held the position of vice president of business development at Takeda USA. He brings an in-­depth understanding of market trends, cohesive team building, drug candidate development, and commercial excellence with emphasis in oncology, upper GI, and CV therapeutic areas. Raymond Bergan, MD, is Professor of Medicine and Division Chief, Hematology/Oncology at Oregon Health Sciences University Knight Cancer Institute. He is a medical oncologist with extensive early phase trials experience. He is also a cancer biologist. His research focuses upon understanding how cancer cells regulate their metastatic behavior and how that process can be therapeutically targeted. Karl is a Professor in the Departments of Chemistry and Pharmacology at Northwestern University. He is also the Director of Northwestern’s Center for Molecular Innovation and Drug Discovery. Karl received his doctoral training at Indiana University and the University of Michigan and was an NIH postdoctoral fellow at Harvard University. He is an internationally recognized expert whose research focus lies at the intersections of catalysis, chemical synthesis, and therapeutic science. His laboratory has pioneered the development of cooperative catalysis and is heavily involved in the synthesis and application of bioactive small molecules towards clinical endpoints. With over 150 peer-reviewed publications and 10 patents (h index of 59), he is a Sloan Foundation Fellow, an American Cancer Society Research Scholar and a Fellow of the Royal Society of Chemistry. Steven Hayes, PhD has 15 years leadership/management experience in the life sciences and biotechnology sectors. His academic training in cancer biology includes a fellowship in experimental therapeutics at Northwestern University, and a postdoctoral study in prostate cancer at Stanford University. Dr. Hayes led the technology transfer of drug discovery tools from Aurora/Vertex Pharmaceuticals to Life Technologies (now ThermoFisher), as well as the collaborative drug discovery services unit. As head of R&D at BellBrook Labs, he led the development of more predictive drug screening platforms for oncology, immunology and respiratory disease. His research there centered on the incorporation of more representative and complex cell models into earlier steps in the drug discovery process. At Echogen, he directed development of small molecule and antibody drug conjugates for anticancer therapy utilizing a novel platinum delivery system. In addition, Dr. Hayes has served for years as consultant for several therapeutic-focused startup companies, and as an NIH grant reviewer. He has conceived, written and led the execution of phase I and phase II SBIR grants to help carry out a substantial portion of his research. His work at Third Coast Therapeutics has focused on developing integrated regulatory, clinical and preclinical strategies. He currently manages the 3crx98 translational studies that are supported through a grant from the US Department of Defense to Oregon Health and Sciences University. Third Coast Therapeutics places second in iBIO Institute’s PROPEL Business Plan Competition. Third Coast selected to present at MedCity Invest May 17-18 2017 in Chicago. "Making a Difference in Cancer With You” is the time for the 2017 ASCO meeting, to be held in Chicago in June. If you would like to contact us via email, please complete and submit the form below.